Grow and Become the Biggest Cell in the Dish! Are you a human? If so, then you probably know that life is really complicated. You've got to deal with so many things, like work, school, family, taxes and mismatched socks. It's easy to get lost in the shuffle. With the Agar.io app, you can take a break from all that and experience a much simpler life for a time. How simple are we talking about? Try thinking in monocellular terms, and you'll have an idea. The object of the game is as simple as it gets: eat, grow and survive as a single-celled organism. However, just because it's simple doesn't mean it's going to be easy. There are much bigger fish in the Petri dish after all. If you aren't careful, you might just get eaten yourself. Even in the monocellular world, it's eat or be eaten out there. Luckily, you have a great number of strategic options at your disposal. Use them wisely and you should be high up on the food chain in no time. • Consume anything smaller than your cell and grow progressively larger. • Evade the larger cells or become somebody's meal. • Divide your cell to gain more speed and eat more things. • Eject mass to create viruses or more food for other cells to eat. 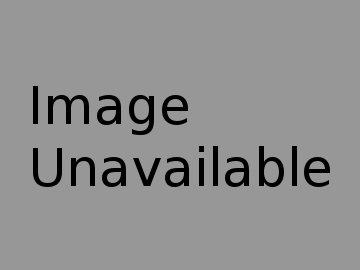 • Use viruses to split up large opponents and make them ripe for consumption. • Play with up to 100 players online. Eat them, elude them, and trick them to your nucleus' content. • Keep an eye on the leaderboard while you play and see where you currently stand. • Unlock secret skins for your cell and show off your individuality. Give it a special nickname and see what happens. If you're hankering to play something a little more offbeat than what your usual mobile game has to offer, then you can't get any more offbeat than the Agar.io game. It looks simple at a glance, but deep down, it's a surprisingly challenging gem that can while away hours of your time if you're not careful. If the idea of consuming other players in real time appeals to you, then download Agar.io app right now and become the biggest cell in the pond. WATCH NOW: Annoying Orange Plays Agar.io! Agar.io is a rare title where a glance at the name won't give you the foggiest clue as to what it's about. What does "agario" mean exactly, and why is there a period in the middle of it? Like Stonehenge, we will likely never know the true significance of Agar.io's weird name. Fortunately, nearly everything else about it is much easier to grasp. At heart, it's a protozoa simulator where you eat everything smaller than you and grow in size to eat even bigger things. If it sounds simple, it's because it is, and if it looks amateurish, then you'd be correct in thinking so. However, if you can get past those foibles, you'll find a surprisingly effective time waster in Agar.io. The worst thing that can be said about Agar.io is that it doesn't leave a good first impression. It's clearly meant to illustrate a world filled with microscopic organisms you could typically only see under a microscope, but it really doesn't do anything to look the part or even interesting to the eye. Previous games of this stripe did a much better job at showcasing their stylized unicellular settings. For example, the cell stage of Maxis' Spore featured a bright and cartoony world where adorable bug-eyed protozoa swam around trying to eat each other. Another strangely-named title called flOw, which started off as a Flash game, put very alien-looking creatures in an ocean-like environment and backed it all up with a soothing soundtrack to create a very surreal experience. Agar.io just slaps a bunch of circles together on what appears to be some graph paper and calls it a day. There really is no artistic merit to be had here, and it does a poor job at showcasing the sense of scale that a growth-based game needs. That's not to say that it's all bland. While the graphical style is miniscule, some effort was made to at least add a little bit of pizzazz to the package, namely in the form of secret skins. While the default cell is little more than a circle with a randomly-assigned color, it can acquire a more distinct appearance if you give it a specific name. If you name it after a country, then it will display that corresponding nation's flag. If you put in the name of a world leader like President Obama or Chancellor Merkel, then you'll see their faces on your cell. There are others that apply to assorted internet memes, companies and computer programs. It's more kitschy than anything, but these little Easter eggs are still a great source of amusement. Once you get over the boring presentation, the poor first impression will probably continue when you get started. The object of the game is simple; you're a single-celled organism and you got to survive. You eat anything that's smaller than you, and stay away from everything that's bigger. That's obvious from the beginning, but things are pretty rough for you at that point. You're as small as you can get and the only things you can consume are little pellets. That may not sound so bad, but the touchscreen-based controls just don't feel as responsive as they should be. Moving your cell into the pellets requires some pretty precise steering, making this portion of the game a lot more troublesome than it has any right to be. Fortunately, things pick if you're able to weather the storm for at least half a minute. When your cell reaches a decent size, its movement slows down, which makes it less of a hassle to move into those pellets. You can focus less on wrestling with the controls and more on just surviving. You'll see all sorts of cells, all of which are controlled by other players, and it's up to you to eat or avoid being eaten. There are nice moments of tension to be had from this; one moment, you could be chasing down some craft prey. The next, you're carefully trying to maneuver between two massive behemoths that could absorb you in a moment's notice. Things aren't nearly as one-sided as they sound. While bigger may be better in Agar.io, having a small size gives you the advantage of faster movement. As long as you're smaller, you can always out-swim the bigger fish. Consequently, this means that consuming smaller players requires a bit more trickery than simply overcoming them. For that end, Agar.io includes a small but significant number of flexible actions that can give you a tactical advantage when used properly. One thing you can always do, provided you're of a decent size, is asexually split your cell. This has its collection of benefits and drawbacks. It's bad for you because instead of one big cell, you're now two smaller ones that are more vulnerable to predators. However, they cover more range and move faster, which can allow them to swallow pellets or smaller cells up more efficiently. More than that, dividing your cell at an opportune moment can allow you to gobble up at least one player instantaneously when they could have otherwise eluded you. Another trick you can pull involves using the viruses that are scattered around the map to your advantage. When you're tiny, they have no effect outside of providing a place to hide or set up an ambush. However, when you reach a certain threshold, colliding with them will cause your enormous cell to split into several very small ones. In most situations, you'll probably want to avoid viruses if you can, but they have their uses. Steering into one while you're small can be a good way to weaken a predator or at least deter him from chasing you. Viruses also carry a bit of a reward for anyone who risks touching them, as they can add a large bonus to your mass, provided you're able to keep all your cells intact before they fuse together again. The final action is that you can simply choose to expel some mass. Besides lightening your cell's load, it adds more food pellets and viruses to the map. It may not give you any immediate advantage, but you can set up a nice trap if you're feeling particularly evil. Overall, all the actions you can perform work well with the game's simple formula and add a nice degree of depth to it. 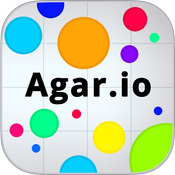 In the end, Agar.io a fun and rewarding app that works in both long and short-term play sessions. It might put you off at the beginning with its humdrum graphics and initially off-putting controls, but if you stick around long enough, they'll stop being an issue. It helps that not only is Agar.io free, it's very unobtrusive. The most you'll ever have to deal with is an occasional ad in between play sessions. With such addictive gameplay at no cost, it's worth adding to your library.